The Royal Saskatchewan Museum (RSM) T.rex Discovery Centre in Eastend, reopens for the season on Saturday, May 20, 2017. A gem of Saskatchewan’s southwest, the centre’s fossil exhibits feature Saskatchewan’s marine reptiles, prehistoric mammals and impressive dinosaurs including Scotty. Scotty is arguably the world’s largest T. rex and the complete skeleton can only be seen at one location: the T.rex Discovery Centre. Open yearly from May long weekend through Labour Day weekend, the centre will kick off the season on May 20 with opening celebrations featuring a free BBQ from 11 a.m. to 2 p.m., along with tours and activities all day. The centre will host a number of family-friendly events throughout the summer including a celebration of Canada 150 on July 1, Dino Days on July 22 and Scotty’s birthday on August 16. 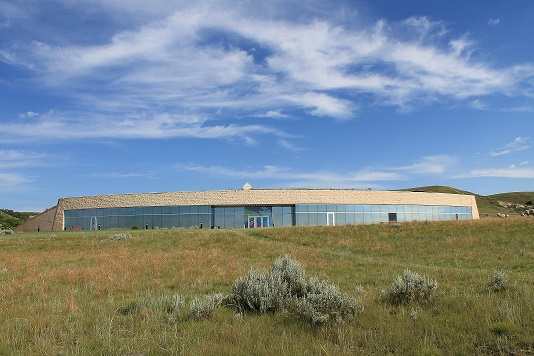 The T.rex Discovery Centre is an hour and a half drive from Swift Current and an hour drive from Cypress Hills Interprovincial Park. 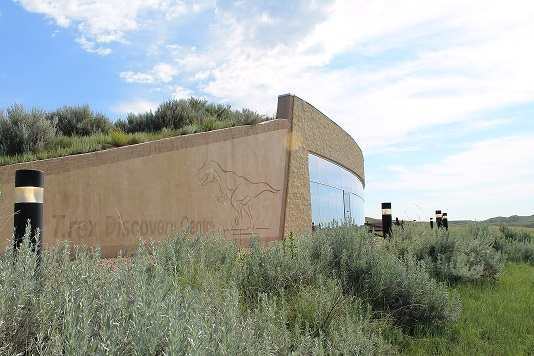 Visitors can check out the latest discoveries by RSM paleontologists or take a virtual trip to Scotty’s quarry using the brand new virtual reality glasses. The T.rex Discovery Centre, located at #1 T-rex Drive in Eastend, is open daily from 10 a.m. until 6 p.m until Labour Day. Visit www.royalsaskmuseum.ca/trex for more information. Admission is by donation.